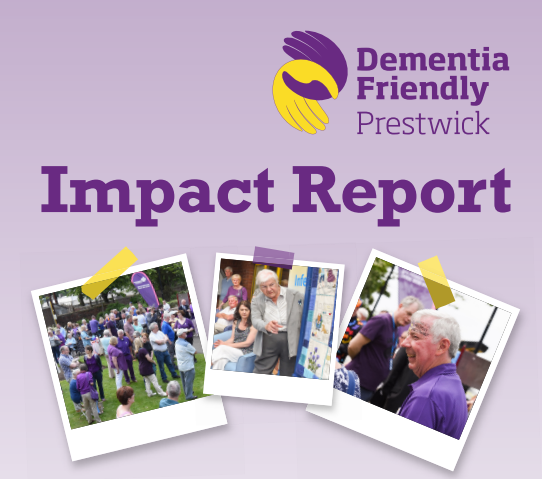 Take a look at the progress and plans Dementia Friendly Prestwick has made since our launch in June 2016. We’ve worked with a supermarket to successfully introduce a “relaxed shopping” aisle, we’re delivering “dementia awareness” training sessions, we host fun weekly and monthly activities, we’re working with local partners to make positive changes in the area, and we were finalists in Scotland’s Dementia Awards 2018. We’ve met lots of people; we’ve laughed, sung, walked, hugged and encouraged lots of people to talk about dementia and how living with dementia can be. Together we’re making an impact, together we’re Dementia Friendly Prestwick. Get in touch with feedback, queries or ideas.